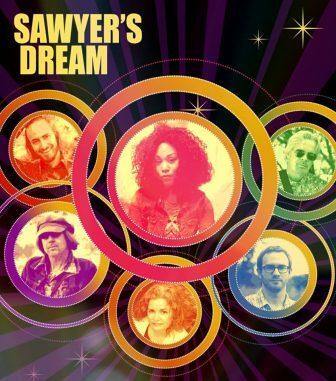 Sawyer’s Dream is an all original, 70s vibe rock band with an amazing female singer. Beautiful vocal harmonies soar over a powerhouse rhythm section, while acoustic and electric guitars fill the spaces in between with inventive riffs and sonic colors. Sawyer’s Dream will take you back in time, to a place where dreams, nature and human kindness ruled the day. The band welcomes you to forget your worries and take the journey with them.